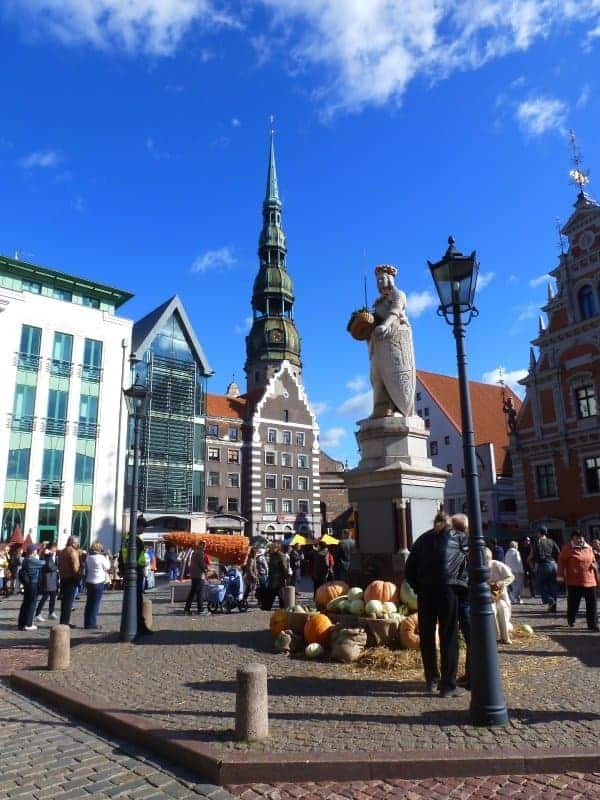 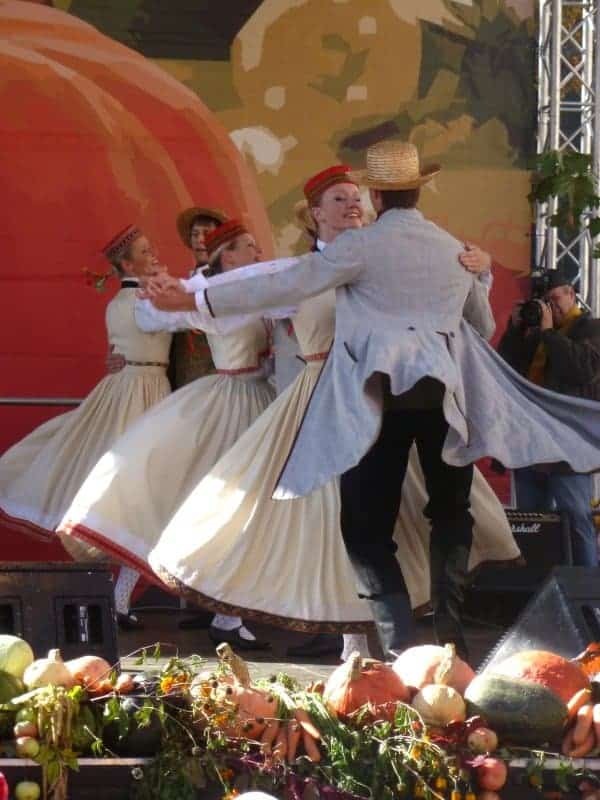 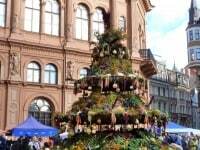 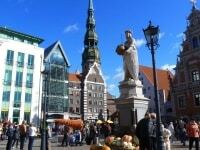 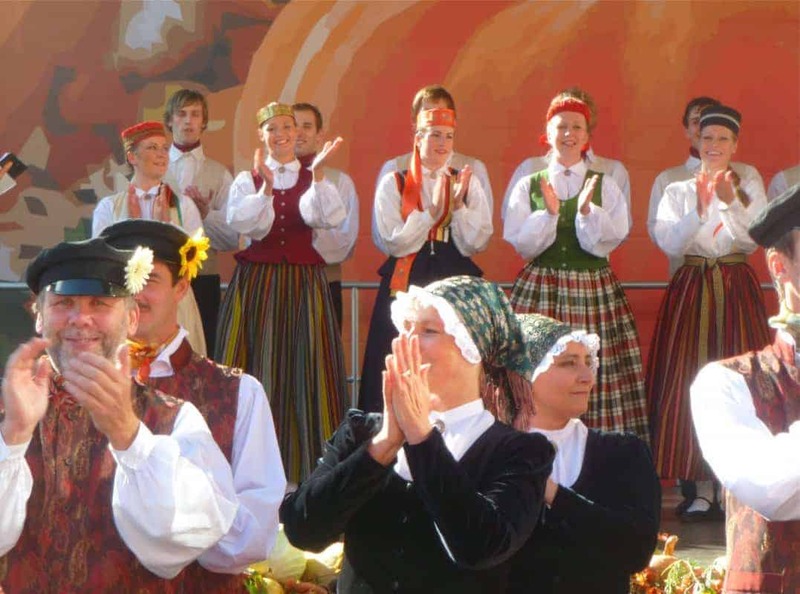 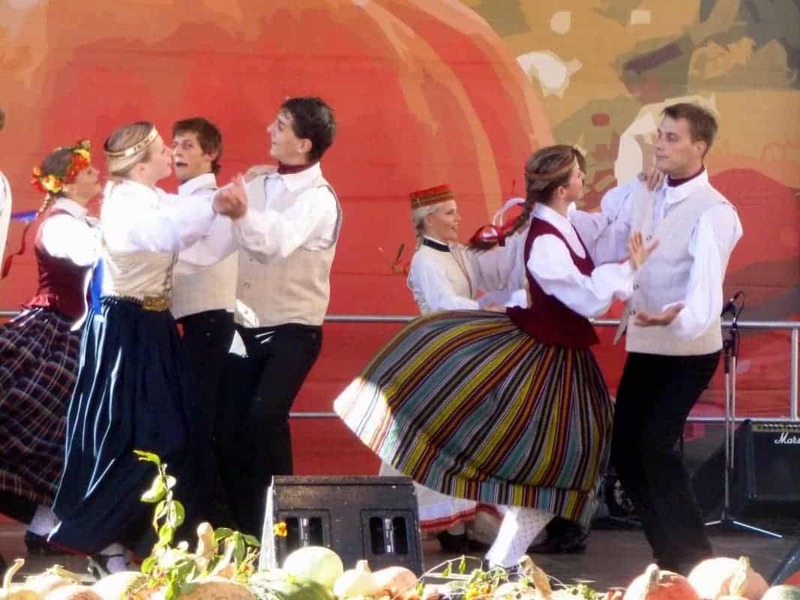 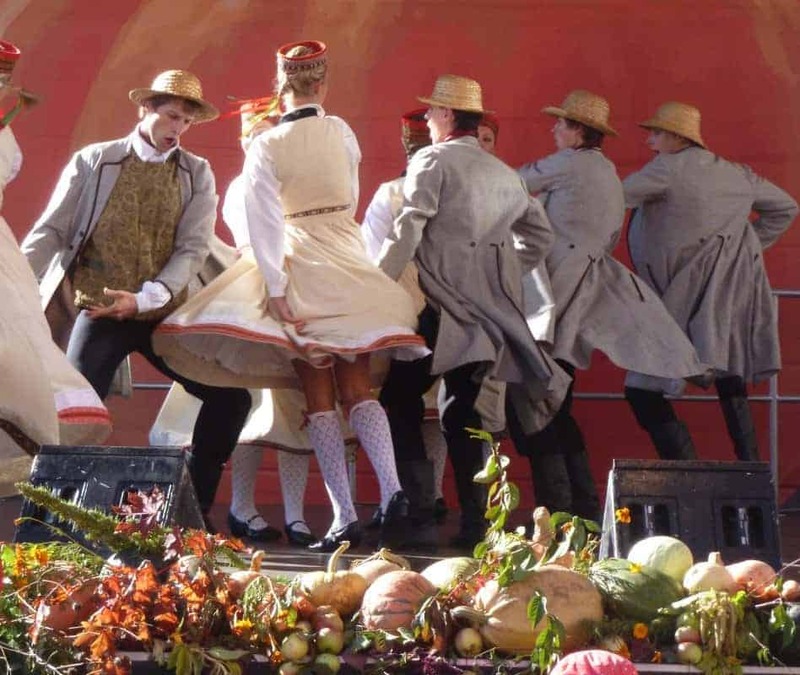 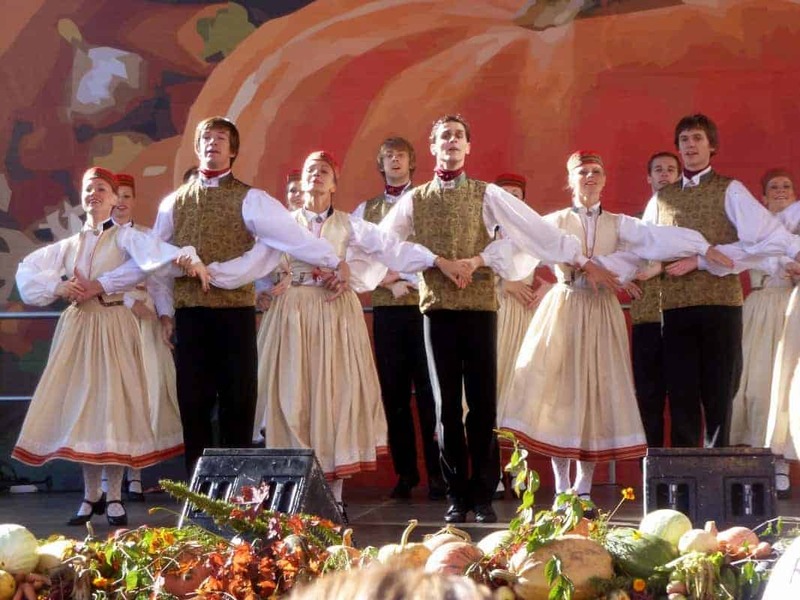 Here’s what it said in the listings booklet ‘Riga in your pocket’: “Every September Riga throws a big harvest festival on the last Saturday of the month. 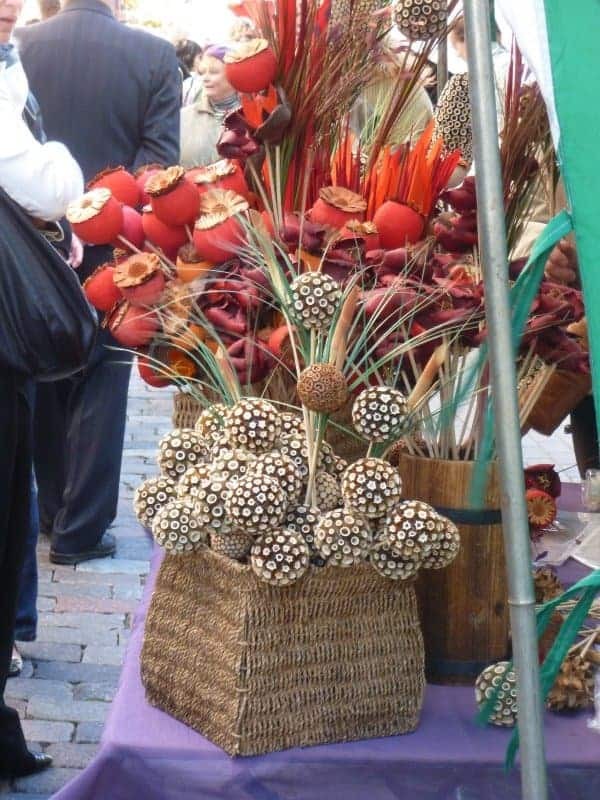 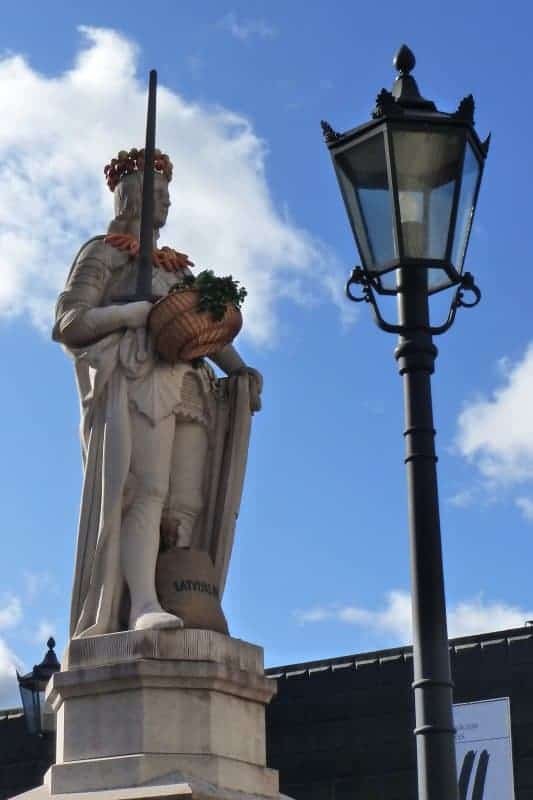 Also known as the Apple Market, hundreds of farmers set up their stalls on Town Hall and Cathedral squares and sell fresh produce as well as handmade crafts. 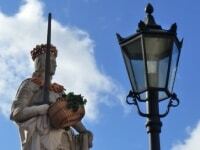 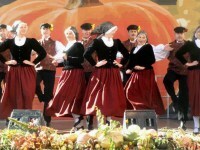 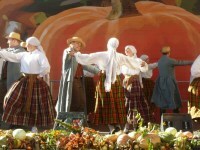 Plenty of beer, sauerkraut and sausages will be available, not to mention folk dancing and singing. 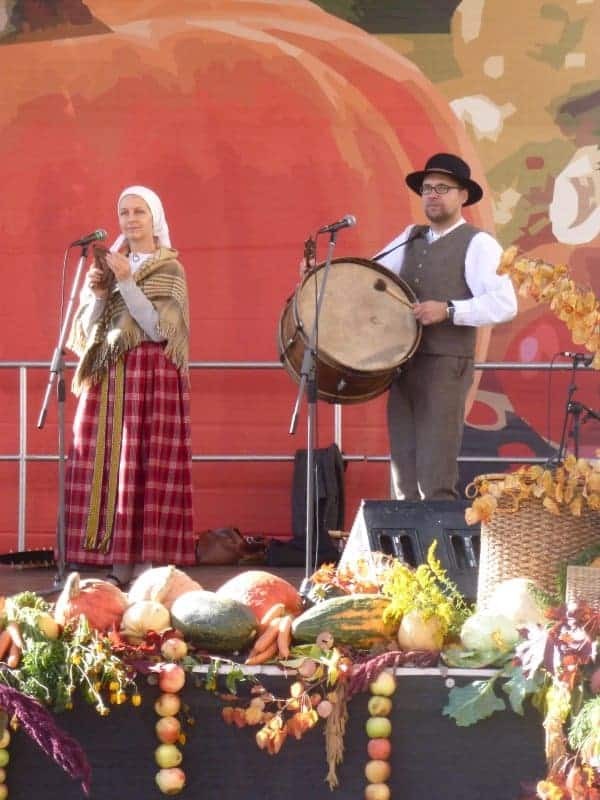 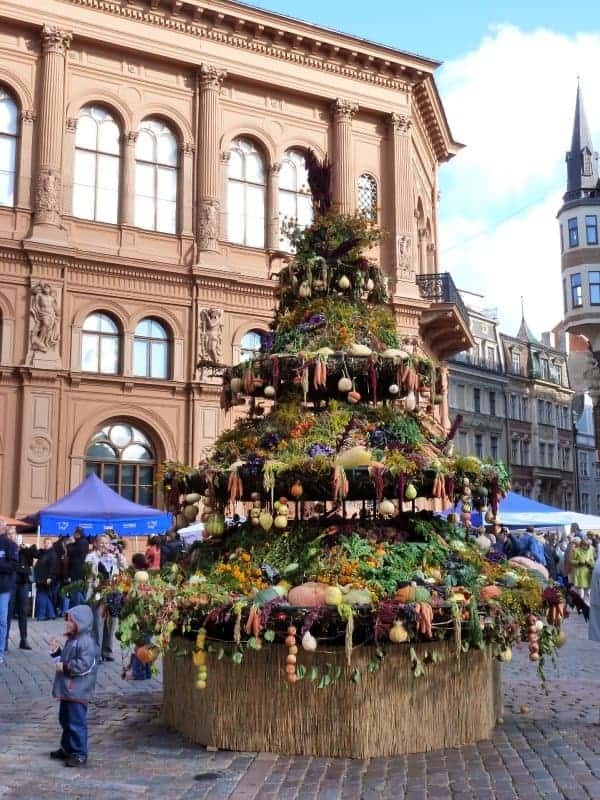 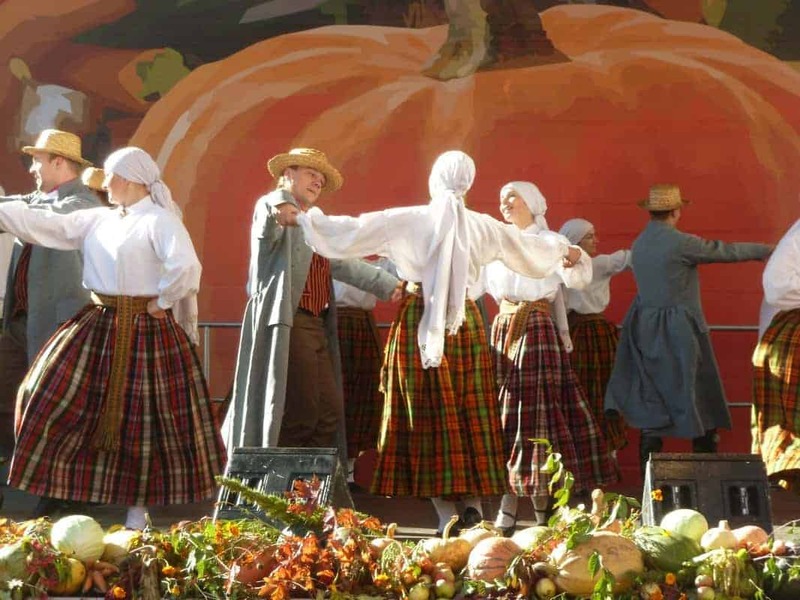 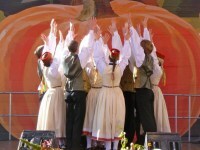 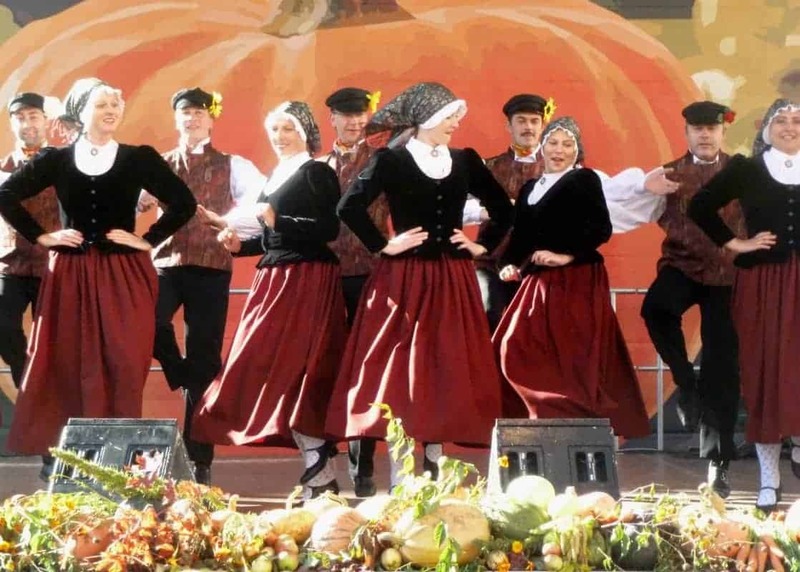 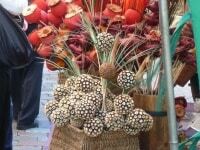 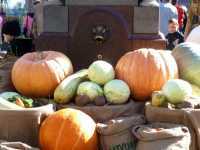 The harvest festival is an ancient tradition that extends back to pagan times, before Christianity was thrust upon the local population in the 13th century. 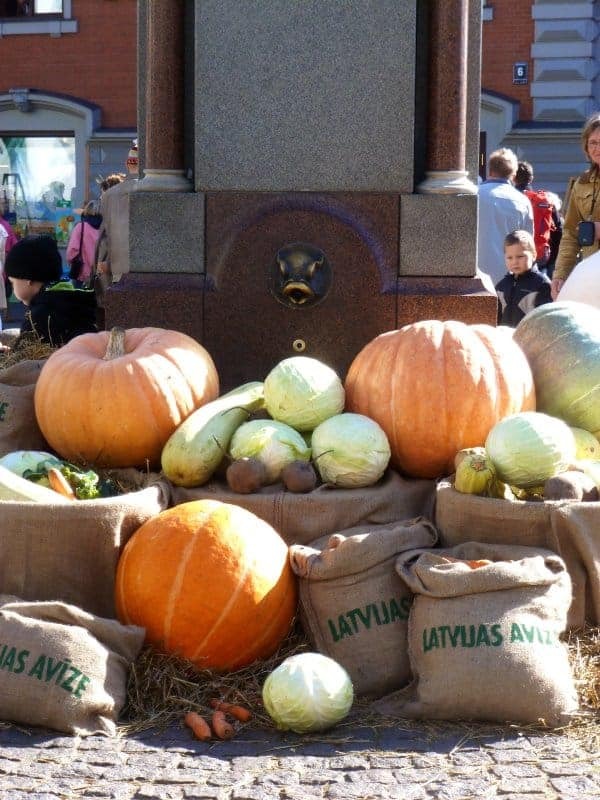 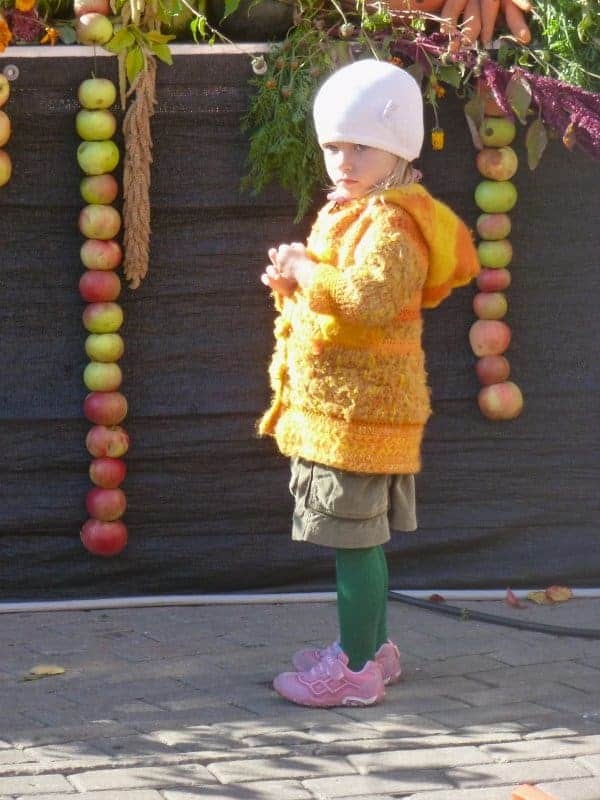 The Latvians of old celebrated the autumnal equinox known as Mikeli when night and day are of the same length, signalling the end of summer and the coming of winter, or the season of spirits, when the souls of the dead returned to this world to check on their progeny. 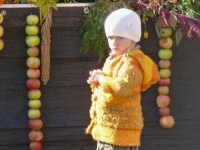 All crops had to be harvested by Mikeli and the fields had to be prepared for the long winter ahead. The celebrations were among the happiest of the year as the summer harvest provided a bountiful feast for all participants. 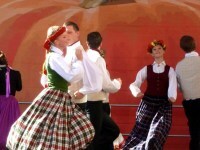 I really enjoyed the folk dancing. 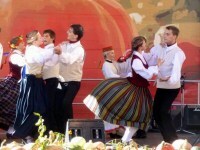 The dancers were extremely energetic and agile, performing complicated choreography on a very small stage. 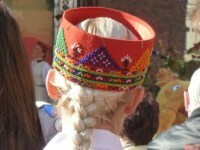 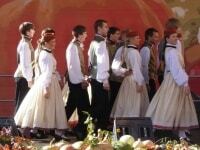 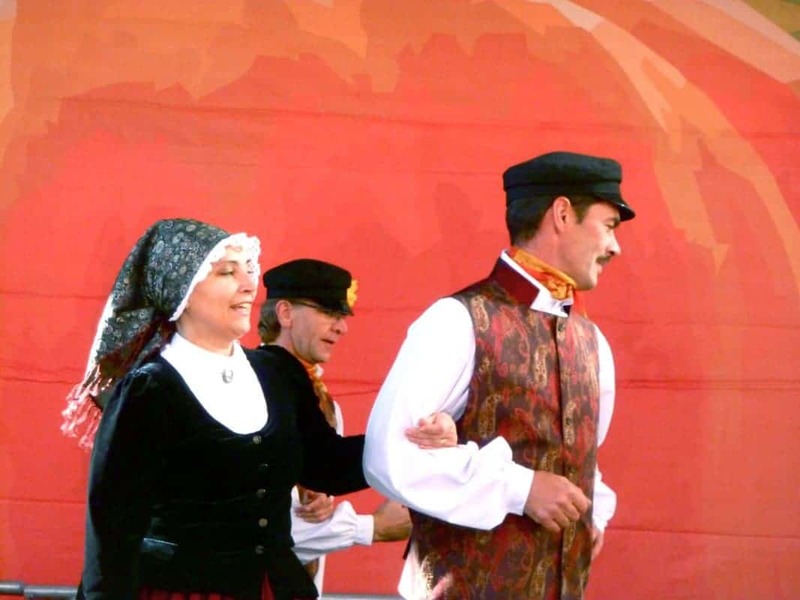 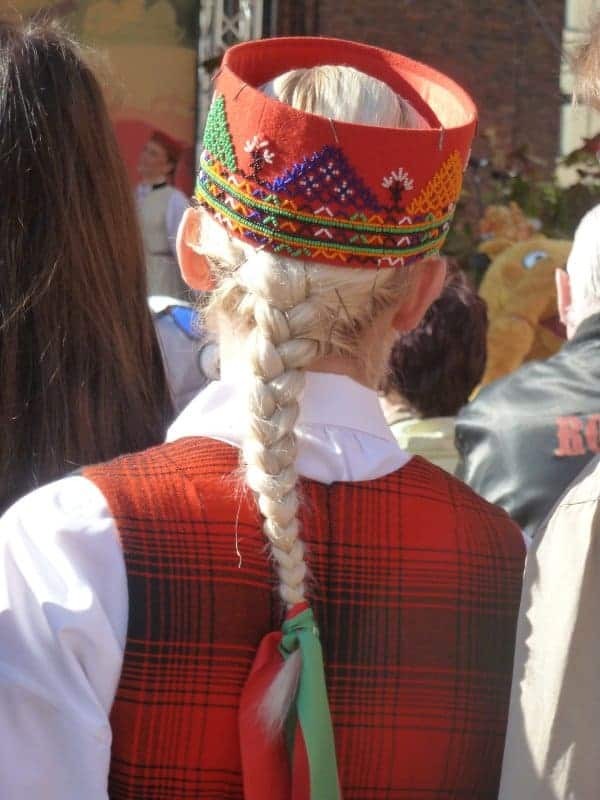 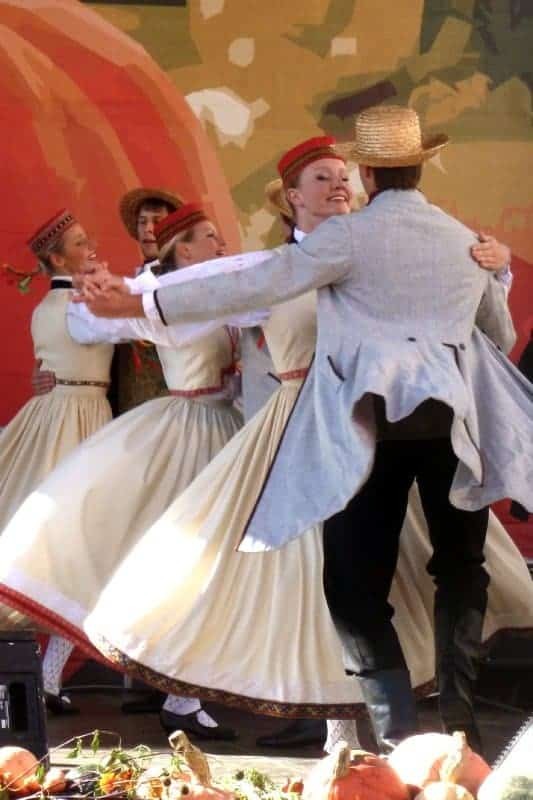 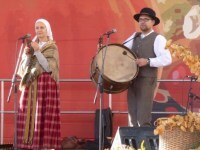 There were several different groups, dressed in the costume of various parts of Latvia. 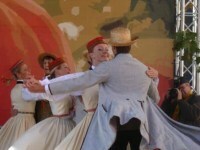 Their outfits were made with great skill and attention to detail, in authentic-looking materials. 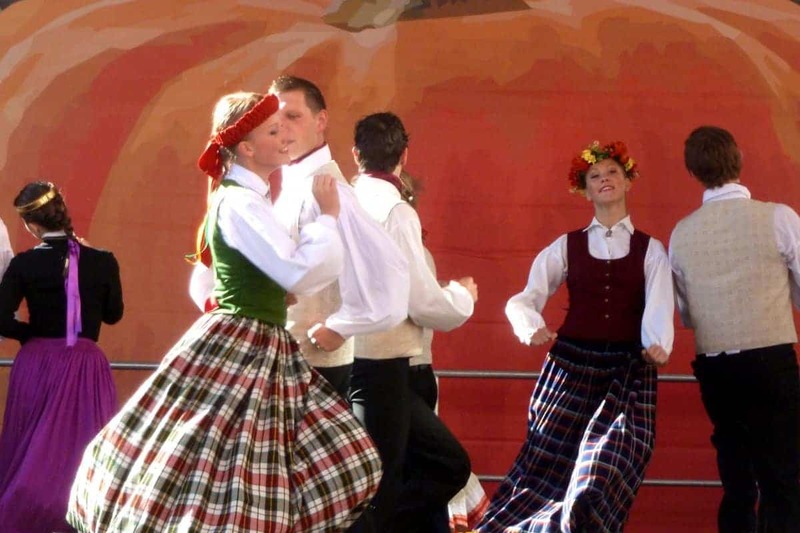 The recorded music they danced to seemed to be a modern take on the kind of traditional tunes you’d expect – it was all most exhilarating and inspiring.